First of all, I would like to thank you for the loyalty and appreciation on B.B. Battery’s products for the past many years. Our excellent quality has created overwhelming demand and good positive feedback domestically and internationally. Unfortunately, there are people trying to sell faked B.B. Battery’s products on line through look-alike websites as well. To better protect consumer’s interest from getting faked B.B.’s product, it is our duty sending this alert publicly. Please be kindly reminded the following websites are nothing to do with B.B. Battery. B.B. Battery doesn’t support, neither sell products to them. Please avoid to log-in or browse those websites, since they don’t carry genuine B.B.’s products at all. Unfortunately, we cannot rule out the new faked website rolled out in the future that please kindly pay special attention on. These cyber-crimes have been reported to authority and law enforcement accordingly. 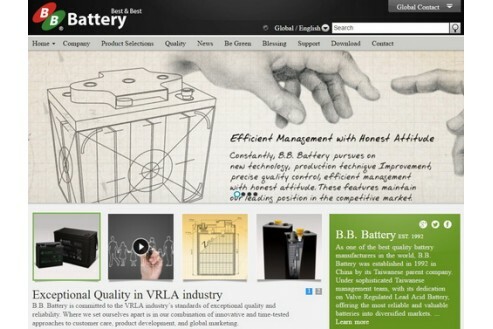 http://www.bb-battery.com. Please feel free surfing for information or dropping enquiry. Our responsible Sales should get back to you as soon as possible. You can also reach us at our corporate phone number +86-731-829-55888, ext. 101 sales. Please do join us blocking the illegal faked products/websites. Your continuous support to B.B. Battery is the power driving us moving toward Best and Best.